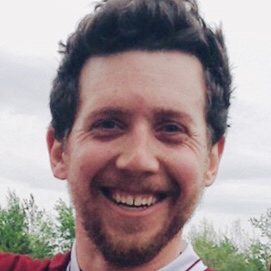 James Kennedy, OCT, is an elementary school teacher in Ottawa with 15 years experience in the public school board. He has taught many grades, and many different subjects, but has found his passion teaching in a grade 8 homeroom. Helping adolescent students discover the world beyond the confines of their classroom is sometimes a challenge. But, he encourages his students to approach learning, and life, with curiosity, perseverance, and above all empathy. James has also served as a representative on his school&#39;s Student Well-being Committee, a member of the transition team for the OCDSB Western Area Accommodation Review Committee, a Save One Student mentor teacher, and as a coach of any sport that needs coaching. When James is not in the classroom, he can be found with his wife, Sarah, raising their three children, or on the Gaelic football pitch. He has been selected to the national team, representing Canada at this year’s Gaelic World Championships. Tracey is a professionally trained and certified coach who is passionate about changing relationship dynamics between parents and teens. Tracey works with parents and teens to break the cycles of drama, stress and disconnection that are so common during the teenage years. Once a troubled teen herself, Tracey saw the need for parents and teens to connect on a different level, where they can see, appreciate and understand one another for who they really are, and create relationships that are rooted in trust, authenticity and a connection that allows everyone to show up as their true self. In addition to her work with parents and teens, Tracey is the Vice President of Hollister Institute, where she works with executives and professionals within organizations to grow their self-awareness and impact as leaders. Tracey believes the goal of leadership coaching, no matter where leaders function within their organization, is to examine mindset and the internal operating system to determine what limits effectiveness and where there are opportunities to expand leadership “range. Tracey has degrees in Economics and Psychology from the University of California, Irvine, with a concentration in Adolescent Psychology. Tracey’s formal leadership and coaching education and certification was obtained through the world-renowned ICF-credentialed Coaches Training Institute (CTI), developer of the highly regarded Co-Active Coaching and Dimensional Leadership® model. Tracey is a Certified Professional Co-Active Coach (CPCC) through CTI, and an Associate Certified Coach through the International Coaching Federation (ICF).